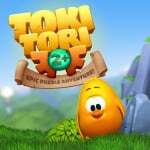 Developer Two Tribes has announced its puzzle-adventure sequel Toki Tori 2+ is hitting the Nintendo Switch eShop next week on 23rd February. Previously available on the Wii U eShop, the studio is calling, "the Nintendo Switch Edition is the game's best version yet!" High praise, indeed. Using a whistle and a stomp, this Metroidvania puzzler starts out simple and gets devilishly challenging the more you play. You can even use your whistling to control time and rewind mistakes to find the best solution! The Switch version will have tweaked gameplay, new secrets and solutions and buttery smooth graphics at 60 fps. 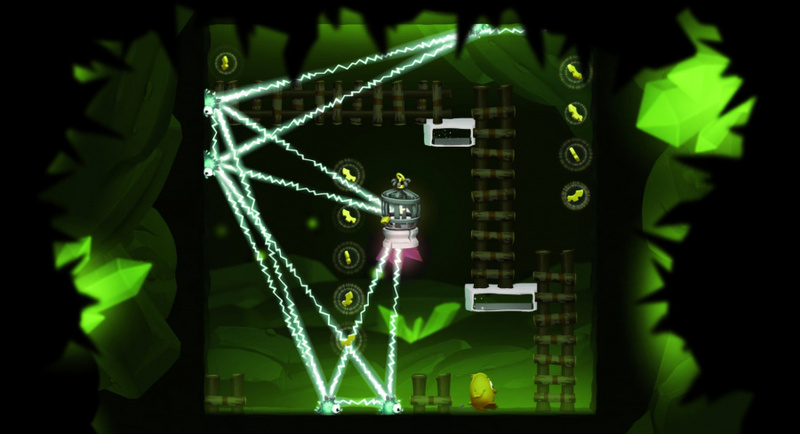 It features its own in-game achievements and supports both HD Rumble and video capture. Anything extra in the switch condition to encourage me to double dip? @SLIGEACH_EIRE Thanks for the heads-up! Saw your comments yesterday, and was already intrigued. This looks like a really funky little puzzler. I bought it on Wii U but never actually played it. I was going to beat Toki Tori+ first but I stopped playing after a while and never got back to it. Mark Brown has a good video about this game and how it's like Metroid but you have all your powers from the beginning. The only thing you gain is knowledge about the game and its mechanics. You can go anywhere at anytime but the question is how to get there. I was going to ignore this, but $9.99 makes it tempting since I never beat this game. If you haven't played it, you should, what I played of this game on Wii U was phenomenal. Hal Douglas, is that you? I wonder if this version has the level editor... I sure hope so, as they're saying it's the best version. @KoopaTheGamer Forgot all about the level editor, I only bought it b/c of that announcement and my kids were having so much fun making levels in a similar game Granny in Paradise. (Actually similar to the first game, this one goes way beyond.) I'm going to just guess no on the level editor, but if it is in there I may rebuy for $10, my kids never played it. I really enjoyed this one, except for that scene in the pic, I recall hating that part. But for a very basic 2D side scroller it really was a nice little set of head scratching puzzles. I never went past seeing the final credits but getting to that point without looking anything up felt like quite the accomplishment. @SLIGEACH_EIRE NL seem to throw out 8s and 9s at the drop of a hat nowadays, but a 10/10 from you is surely a very rare event and is what has convinced me to get this game. Cheers! Any chance you could score all of the games? this is one I bought but never played. I should really play it and see if I want it on the Switch. I’ll get this one since i’ve been interested in it since it’s launch. Rive also really impressed me so, I wanna support their games, even if they’re done making them. Probably my favorite WiiU Indy game. Definitely double dipping. This game was way hard. I like the first one better, but I do want to get into the second one. @SLIGEACH_EIRE You weren't kidding man, I've seen you hype this game quite a few times but I didn't realize it would be THIS good! I'm slowly getting hooked on it, it's just SO fluid and consistently rewarding, and it's cute without being annoying, it's really a gorgeous game. I'm with you, 10/0 easy. I'd probably give it a "Spinal Tap Special" if reviews went to 11 lol. Sorry, Dad joke. Bums me out that Two Tribes is out of the game, they were a phenomenal dev and I bet they could have really done some amazing things on Switch.